Peter Drucker pioneered the study of management as a discipline. The very fact that we are discussing adding strategic value and getting closer to business colleagues is a direct result of his work. Catherine McGregor explores his relevance to GCs and legal departments. Businessweek gave Peter Drucker the moniker “the man who invented management”. He has long been considered one of the most influential management thinkers, and each year his namesake the Drucker Institute hosts a conference in Vienna that continues to attract the cream of business thinkers and leading CEOs. Legendary CEO Jack Welch of GE was highly influenced by Drucker’s work as were other major companies such as Ford, Dell and Toyota. Recently it has been suggested that many of the tech industry’s new generation of CEOs are also looking to Drucker’s thinking to inform their strategic direction. Mark Zuckerberg reportedly consulted many of Drucker’s principles in building Facebook from a start-up into the global brand it is today. We know that many of you, our readers, increasingly see yourselves operating at the management and business nexus rather than solely as lawyers. But how relevant are Peter Drucker’s insights to an in-house legal department? We asked some GCs to consider how Druckers’ thinking relates to what they do. Drucker’s first book, The Concept of the Corporation, was written in 1945 and is an account of how General Motors was organised and run. In it, he explained the concept of decentralisation and why he felt it was key for modern businesses. 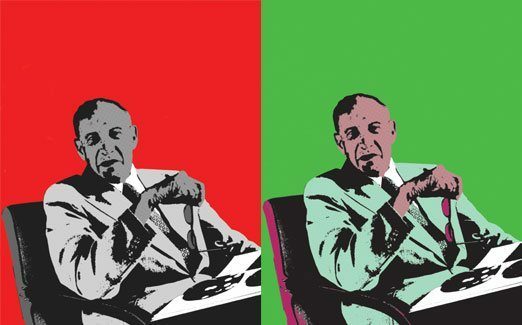 Drucker believed that decentralisation was fundamental to the success of corporations because it allowed people to feel that their contribution mattered and allowed them to grow as workers and executives. GM didn’t like the book, but it became very popular in Japan and by the mid-eighties, decentralisation was the buzzword in US companies and globally. After defining the concept of management, Drucker went on to tell people how to practise it in The Effective Executive. This book employed what became a theme in Drucker’s writing, where he asks some very basic questions about what a business is and should be. He posited that all businesses need to have a sense of purpose, and that purpose should not be merely profit. Organically linked to an organisation’s sense of purpose is its culture, which Drucker felt was more fundamental than its aims or strategic objectives. Indeed, without an essential macro sense of purpose and culture, companies cannot really come up with the right aims and strategies. Drucker was the first person to set out a practical road map for managers to function effectively in their roles. The building blocks still resonate today and echo how many general counsel describe the way they run their departments. A manager motivates and communicates. A manager develops people including themselves. A hugely prophetic prediction of Drucker’s was his theory that the world would move to a global economy and that companies could not afford to think locally. The truth of this can be seen all around us. The challenges of globalisation are very keenly felt within legal departments, as teams often co-ordinate on a pan-regional or even a completely global basis. Most of the compelling challenges that companies are dealing with on the legal front are without borders, such as regulation, anti-corruption, data protection and privacy. But for legal departments and for companies generally, it’s a delicate balancing act between these overarching global concerns and distinct local issues. We asked management guru Paul Hughes of Cranfield School of Management to distil Drucker’s importance for students of business. Compared to other disciplines, management science is a field in its infancy. But despite its tender age, it has been growing in a time where many a great many can become “gurus” very quickly. Yet one name towers above them all and retains a credibility that, although perhaps not quite in the Aristotelian or Socratic vein, is still pretty impressive. That name is Peter Drucker. Even if you haven’t heard of Peter Drucker you’ve probably heard of his work or writings. His 39 books have been translated into 36 different languages. He was a prolific contributor to Harvard Business Review and his work permeates the language of business to a huge degree. Rub shoulders with anyone who’s had even rudimentary management education and you may come across terms such as “management by objective”, “knowledge worker”, “command and control”, “decentralisation”, “human assets”, “innovation” and “outsourcing”. They are all terms that are directly from, or are a clear evolution of his research into management and organisations. “Okay,” you may say. “So he had an impact on management ‘speak’, but what impact has he had on management ‘practice’?” Good question. He was a pillar of New York University Stern School of Business for many years before relocating to California in 1971 to the Claremont Graduate School [now Claremont Graduate University]. His approach influenced corporate heads from the ‘60s onwards. His works underpinned management teaching throughout the latter half of the 20th century. And they still do. His name is still the most referenced, even in textbooks being printed now. Oh, and he predicted the glut of privatisations that have set the tone for the last 40 years in European politics and industry in his book The Age of Discontinuity – so you can add “governments” to the list of those he has influenced. Aristotelian or Socratic he isn’t quite yet. But he’s only been dead since 2005. Come back in a few centuries and I suspect like these figures, “Drucker” will no longer be a name but an adjective. That’s impact. A key Drucker critique of companies is that they base all microeconomic theory on price, viewing that and value as the key determinants of what they do and how they do it. This seems especially germane to the notion of the legal department as a cost centre which needs to demonstrate its value to the business. “What exactly are the lawyers there for? Why do we need an in-house legal team?” are commonly heard questions. But a company that defines itself not purely in terms of profit or loss but in terms of culture, purpose and the idea of the global customer will not ask those questions; rather it will see the legal and compliance functions as being integrated parts of the organisation’s culture and areas which constitute its very lifeblood. A belief that taking action without thinking is the cause of every failure, is another Drucker concept which seems relevant to the risk management responsibilities of today’s in-house lawyer. Indeed, as we explored in our whistleblower feature (see GC Winter 2014 issue), many of the worst excesses of the financial services industry post-Lehman resulted from actions that were inadequately thought through, and driven by profit, not greater purpose. That long-term perspective can be equated to Drucker’s warning for companies to keep in mind their real purpose and reason for existence. Many in-house are painfully aware that problems cannot be ignored, but focusing too much on the empty part of the glass and missing out on being an opportunity facilitator can mean that lawyers are not seen as part of the business culture. In many of the stories from in-house counsel recounted here, the real value lawyers can bring is to ensure that risk management is a positive skein within the fabric of the company – tightly woven into the culture. 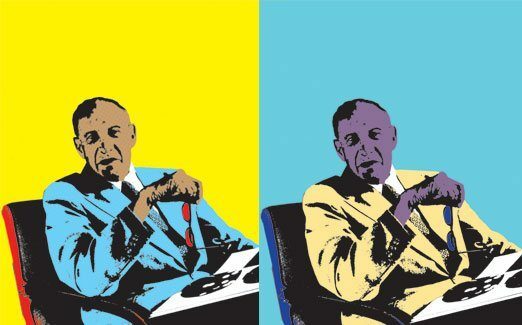 It’s remarkable how forward-thinking and prescient many of Drucker’s theories were and how they now pervade so much of the way we think about business, even when we are not aware of it. When approaching GCs to talk about Peter Drucker, I received many worried looks. Yet when speaking to those interested in their role as part of the whole business, and their department within the broader company, their comments would resoundingly echo many of the words written by Peter Drucker 50 or more years ago. Perhaps he really was the man who invented management. Born in Vienna in 1909, Peter Drucker was raised in an intellectual liberal household and grew up listening to the sound of many ideas being discussed. After graduating from Döbling Gymnasium he left Austria to live in Germany, where he completed a postgraduate degree in Law at the University of Frankfurt. He then left for London and worked in insurance and also as an economist at a private bank. After his marriage in 1934, Drucker and his wife Doris moved to the United States, where he was to spend the rest of his life. He began teaching and also worked as a writer and business consultant. He taught at a number of institutions, including Bennington College and NYU, but spent most of his career teaching at Claremont Graduate University in California. Drucker continued to teach, write and consult well into his 90s. He died in 2002 at the age of 95.